NJB Article and Source Repository: Did a Discrete Event 200,000 to 100,000 Years Ago Produce Modern Humans? By Timothy D. Weaver. Did a Discrete Event 200,000 to 100,000 Years Ago Produce Modern Humans? By Timothy D. Weaver. Omo 1 skull. 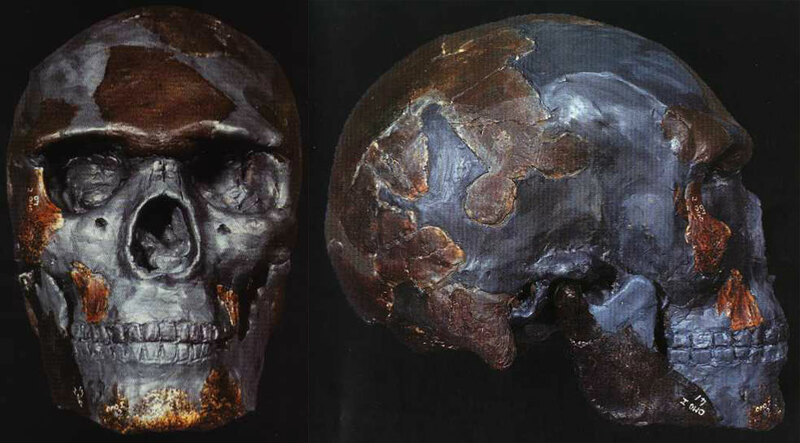 At 195,000 years old it is the earliest known remains of Homo sapiens. Did a discrete event 200,000-100,000 years ago produce modern humans. By Timothy D. Weaver. Journal of Human Evolution, Vol. 63, No. 1 (June 2012). Scenarios for modern human origins are often predicated on the assumption that modern humans arose 200,000–100,000 years ago in Africa. This assumption implies that something “special” happened at this point in time in Africa, such as the speciation that produced Homo sapiens, a severe bottleneck in human population size, or a combination of the two. The common thread is that after the divergence of the modern human and Neandertal evolutionary lineages ∼400,000 years ago, there was another discrete event near in time to the Middle–Late Pleistocene boundary that produced modern humans. Alternatively, modern human origins could have been a lengthy process that lasted from the divergence of the modern human and Neandertal evolutionary lineages to the expansion of modern humans out of Africa, and nothing out of the ordinary happened 200,000–100,000 years ago in Africa. Three pieces of biological (fossil morphology and DNA sequences) evidence are typically cited in support of discrete event models. First, living human mitochondrial DNA haplotypes coalesce ∼200,000 years ago. Second, fossil specimens that are usually classified as “anatomically modern” seem to appear shortly afterward in the African fossil record. Third, it is argued that these anatomically modern fossils are morphologically quite different from the fossils that preceded them.